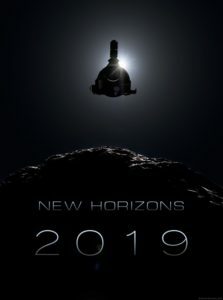 On Saturday, Dec. 15, the New Horizons hazard watch team concluded its work, having found no moons or rings in the path of New Horizons on its planned closest approach to Ultima. With that information and a unanimous finding by our mission stakeholders team, I informed NASA that we are “go” to fly by Ultima on the trajectory that yields the best science. 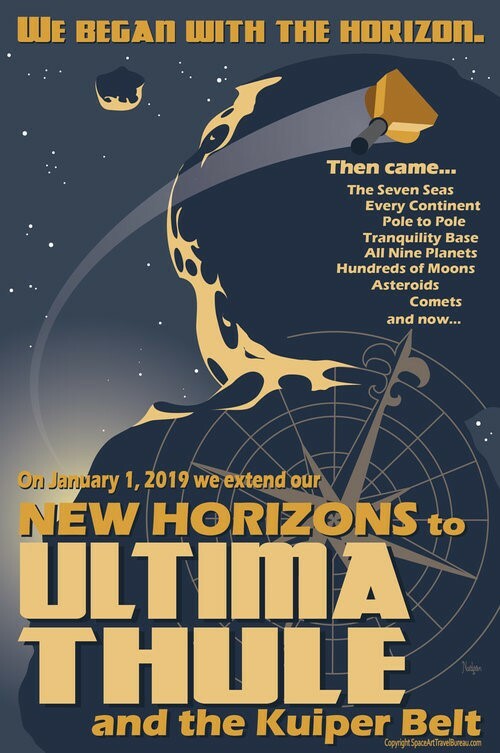 As a result, New Horizons will approach to within 3,500 kilometers (about 2,200 miles) of Ultima early on New Year’s Day. There is no longer any chance we will divert to a farther flyby distance with consequently lower-resolution images. Just yesterday, New Horizons conducted another small trajectory correction engine burn to help us home in on Ultima. That 0.26 meter/second burn lasted only 27 seconds and was executed perfectly by the spacecraft, cancelling about 300 kilometers (180 miles) of estimated targeting error and speeding up our arrival time by about five seconds. We will continue to track and target the spacecraft toward our expected arrival location and time. If needed, we can transmit files to New Horizons as late as the day before arrival to correct for any offsets from our flyby design, but we cannot burn the engines any longer. This is because New Horizons will soon enter Encounter Mode, which does not allow for engine burns. Encounter Mode (or EM) is designed to ensure the flyby science even if the spacecraft malfunctions. Normally, if New Horizons develops problems in flight – which is very rare – the bird halts its flight plan and calls Earth for instructions. But if that were to happen during flyby closest approach, we’d likely miss getting the goods on Ultima before our mission control on Earth could intercede. After all, the round-trip communications time from Ultima to Earth and back is now over 12 hours. Encounter Mode is the solution to this dilemma. Once the spacecraft is in EM beginning on Dec. 26, it will use onboard software to correct problems and then resume its activities without instructions from Earth. We used Encounter Mode at Pluto, but fortunately, no problems came up during that period. At Ultima we want the same level of flyby protection. But before we can enter Encounter Mode, we must first transmit the entire sequence of thousands of carefully choreographed spacecraft and instrument commands to New Horizons’ main computer. That radio transmission will take place Dec. 20, and will be verified by a technique known as “checksums” on Dec. 21. The load will engage on Christmas Day, Dec. 25. 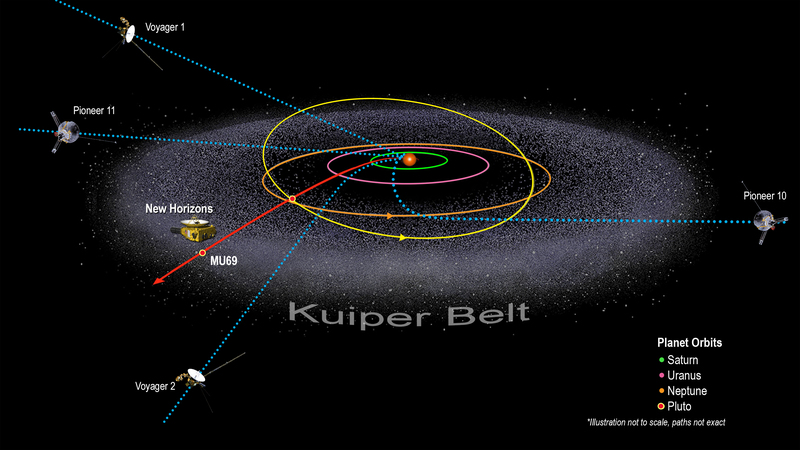 We are flying by Ultima to see a Kuiper Belt object up close for the first time. Ultima is special for two reasons. First, based on its orbit type, we know that Ultima was formed way out where New Horizons is, 4 billion miles away. That means Ultima (officially named 2014 MU69) was formed in the middle of the Kuiper Belt, where temperatures are close to absolute zero. Second, because of where it was formed and the fact that Ultima is not large enough to have a geologic engine like Pluto and larger planets, we expect that Ultima is the most well-preserved sample of a planetary building block ever explored. In effect, Ultima should be a valuable window into the early stages of planet formation and what the solar system was like over 4.5 billion years ago. What will Ultima reveal? No one knows. To me, that is what’s most exciting—this is pure exploration and fundamental science! And when will we see what Ultima is all about? Close approach images, composition spectra and other kinds of data will already start to flow from New Horizons on flyby day—Jan. 1! We expect to have an image with almost 10,000 pixels on Ultima by that night, ready for release on Jan. 2. By that first week of January we expect to have even better images and a good idea of whether Ultima has satellites, rings or an atmosphere. Early next year, megapixel images will be sent, and if they contain the target – shooting at this resolution while speeding by at over 32,000 miles per hour is a stretch goal – they will reveal Ultima’s geology in exquisite detail. The Ultima Thule flyby is going to be fast, it’s going to be challenging, and it’s going to yield new knowledge. Being the most distant exploration of anything in history, it’s also going to be historic. Fifty years before this flyby, at Christmas time 1968, I sat on my grandparents’ bed as a boy and watched Apollo 8 take off on the first human expedition to visit another world—our moon. That mission was also fast, it was challenging, and it yielded new knowledge. It was historic too. I will never forget it, nor the many talented people who made it possible and the three brave astronauts who flew aboard it. The Apollo 8 mission happened 50 years ago this holiday season. Image credits: NASA. Over all those years between Apollo 8’s December exploration and ours, NASA has made history by exploring farther and farther, oftentimes making what is very hard look very easy. Occasionally, missions stumbled. But most performed spectacularly, and as a result we have made Carl Sagan’s prediction that in just a generation or two the planets would be transformed from points of light to real and explored worlds. Equally important, NASA has shared the results of this exploration with people everywhere on this planet we call Earth, humankind’s cradle. 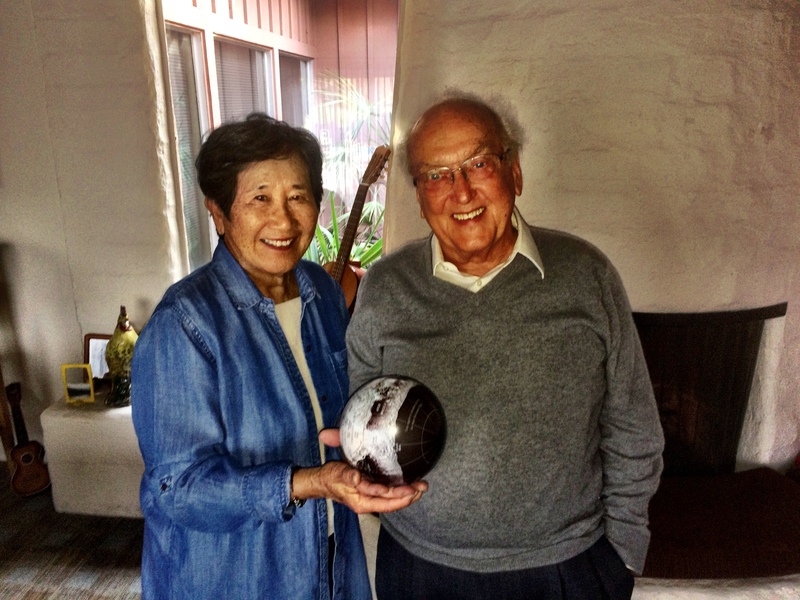 We on the New Horizons team are in awe of what Apollo 8 accomplished so long ago. With all the other missions of human and robotic exploration that came after, it opened up a solar system and a future that may soon see humans living on multiple worlds and robots exploring in new ways. The tradition of exploration is deep in homo sapiens; it sets us apart from other life here on Earth. Perhaps it’s something we may find in common with other spacefaring civilizations, if they exist. Well, that’s my report for now. The flyby of Ultima Thule is literally now just days away. 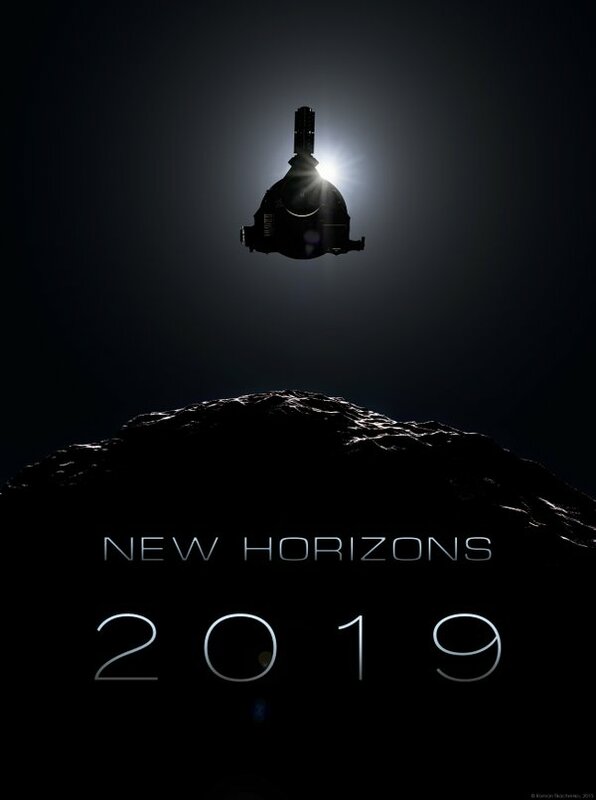 Onward now New Horizons, in the spirit of exploration, onward to 2019, and Ultima Thule! And as always, keep exploring — just as we do! Spend your New Year’s Eve with NASA, as New Horizons conducts the first close-up exploration of any Kuiper Belt object and the farthest exploration of any worlds in space ever attempted — more than 4 billion miles from Earth and a billion miles beyond Pluto! The New Horizons spacecraft is healthy and is now beginning its final approach to explore Ultima Thule — our first Kuiper Belt object (KBO) flyby target — about a billion miles beyond Pluto. And on New Year’s Eve and New Year’s Day, New Horizons will swoop three times closer to “Ultima” than we flew past Pluto three years ago! There are many ways to follow New Horizons and its unprecedented exploration of the KBO Ultima Thule—from websites to NASA TV to social media to press articles! This beautiful artist’s conception of Ultima was created by Roman Tkachenko. 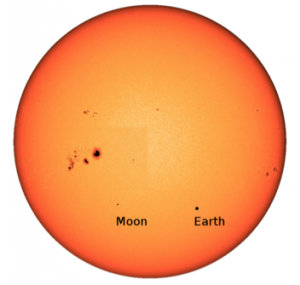 Ultima is 100 times smaller than Pluto, but its scientific value is incalculable. From everything we know, it was formed 4.5 or 4.6 billion years ago, 4 billion miles from the Sun. It’s been stored at that enormous distance from the Sun, at a temperature of nearly absolute zero, ever since, so it likely represents the best sample of the ancient solar nebula ever studied. Nothing like it has ever been explored. Its geology and composition should teach us a lot about how these building blocks of small planets like Pluto were formed. 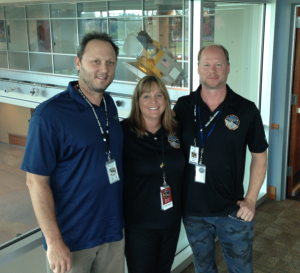 The New Horizons mission team is excited too, and we can’t wait to see what we will find! Will Ultima be an agglomeration of still smaller bodies formed at the birth of the solar system? Will it have an atmosphere? Will it have rings? Will it have moons? Any of that could be possible, and soon we’ll know the answers to these questions. 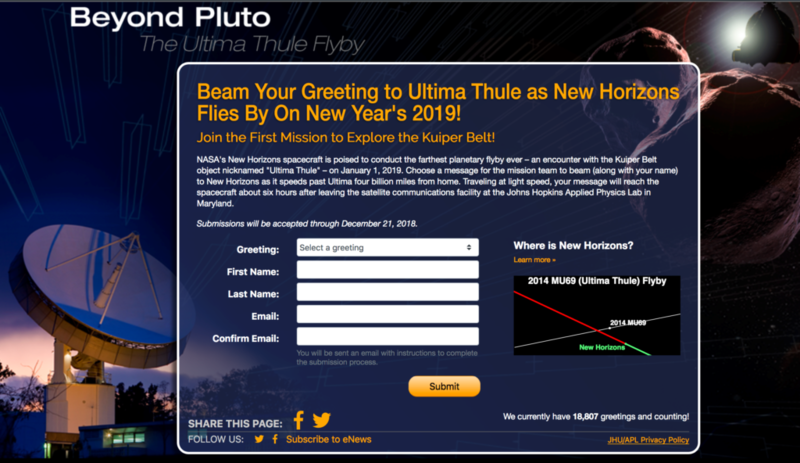 So come along with New Horizons, spend your Christmas in the Kuiper Belt and your New Year’s with NASA – and join us for the Ultima flyby. Until then, I hope you’ll always keep exploring — just as we do! As 2016 ends, I can’t help but point out an interesting symmetry in where the mission has recently been and where we are going. Exactly two years ago we had just taken New Horizons out of cruise hibernation to begin preparations for the Pluto flyby. 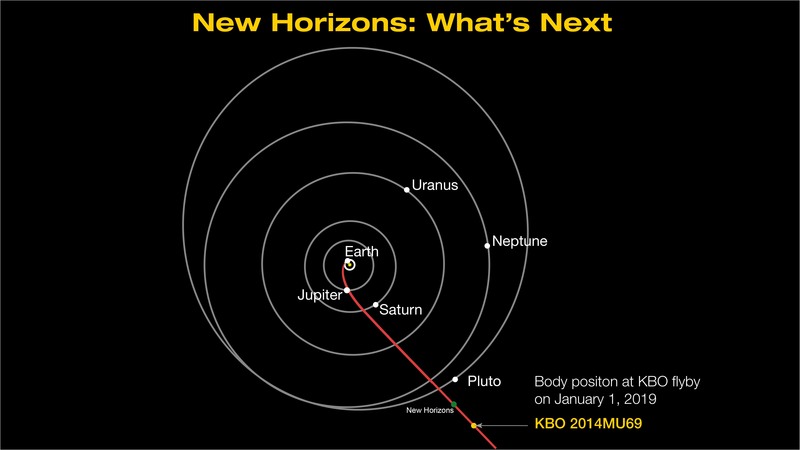 And exactly two years from now we will be on final approach to our next flyby, which will culminate with a very close approach to a small Kuiper Belt object (KBO) called 2014 MU69 – a billion miles farther out than Pluto – on Jan. 1, 2019. Just now, as 2016 ends, we are at the halfway point between those two milestones. During this phase between flyby operations, all of the systems and scientific instruments aboard New Horizons are healthy. In October, we completed the 16-month-long transmission of all Pluto flyby data to Earth. Our science team is now steadily analyzing those data, making new discoveries and writing reports to research journals like Science, Nature, Icarus, the Journal of Geophysical Research and the Astronomical Journal. Almost 50 scientific papers reporting new results about Pluto and its system of moons were submitted this year! Additionally, our science and science operations teams have made two major Pluto submissions to NASA’s archive of all planetary mission data, the Planetary Data System (PDS). 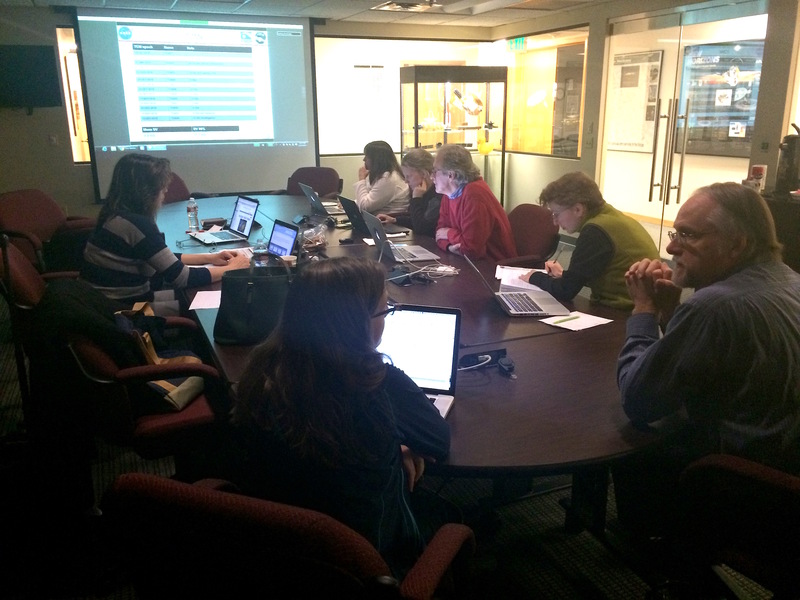 Two final submissions to the PDS will be made in 2017, wrapping up the archiving of Pluto data for others in the scientific community to use. 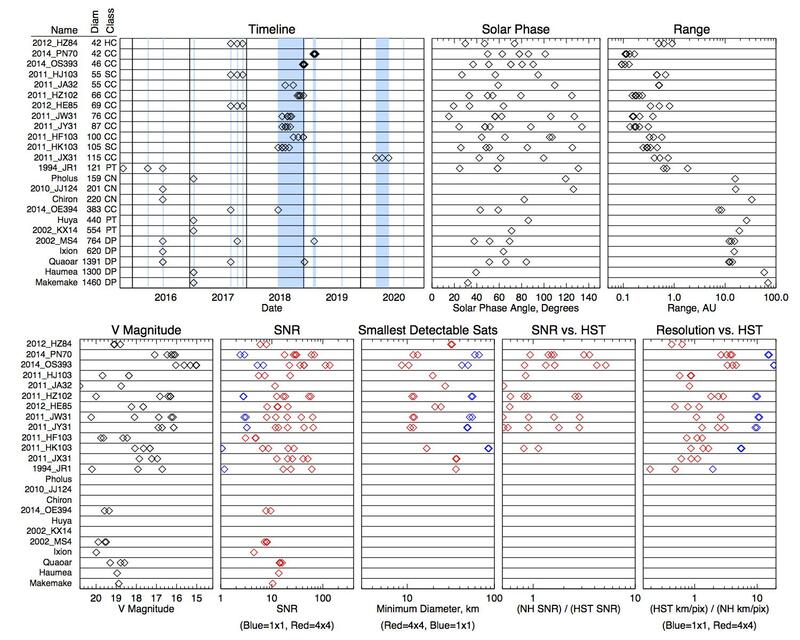 Those upcoming submissions will include better-calibrated datasets resulting from the intensive, post-Pluto flyby calibration campaign we conducted this summer using all seven payload instruments aboard New Horizons and a series of “meta-products” like maps and atmospheric profiles created from New Horizons data. The year ahead will begin with observations of a half-dozen KBOs by our LORRI telescope/imager in January. 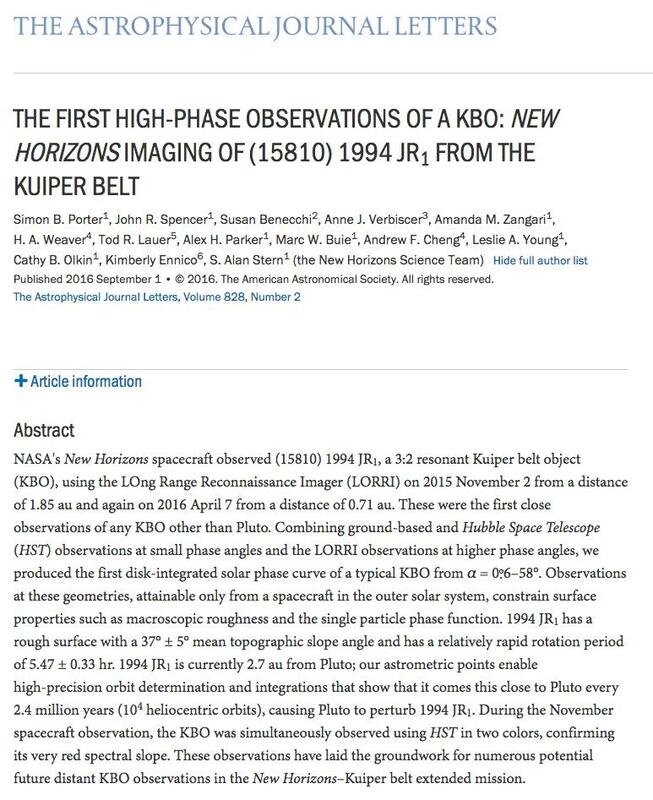 Those observations, like the ones we made in 2016 of another half-dozen KBOs, are designed to better understand the orbits, surface properties, shapes, satellite systems and frequency of rings around these objects. These observations can’t be done from any groundbased telescope, the Hubble Space Telescope, or any other spacecraft – because all of those other resources are either too far away or viewing from the wrong angles to accomplish this science. So this work is something that only New Horizons can accomplish. Also in January, we’ll continue studying the dust and charged-particle environment of the Kuiper Belt using the SWAP, PEPSSI and SDC instruments, and we’ll use our Alice ultraviolet spectrometer to study the hydrogen gas that permeates the vast cocoon of space surrounding the sun called the heliosphere. February is likely to begin with a small (about a half-meter per second) course correction maneuver to better target the close flyby of 2014 MU69. In March, once all the KBO data collected in January is back on Earth, we’ll put New Horizons in hibernation for the first time since 2014. That will last until September, when we’ll begin several more months of KBO observations using LORRI. While New Horizons “sleeps” through much of 2017, our spacecraft, mission operations, and science teams will be designing, writing and testing the spacecraft command sequences for the 2014 MU69 flyby. For Pluto that job took most of 2009 to 2013. But because the MU69 flyby is barely two years away, we have to compress all the planning into the next 18 months. Why? Because flyby operations for 2014 MU69 will begin in July 2018. When New Horizons reaches 2014 MU69 just under two years and two weeks from now, we’ll be setting another record – for exploring the farthest world ever explored, over 4 billion miles from Earth! 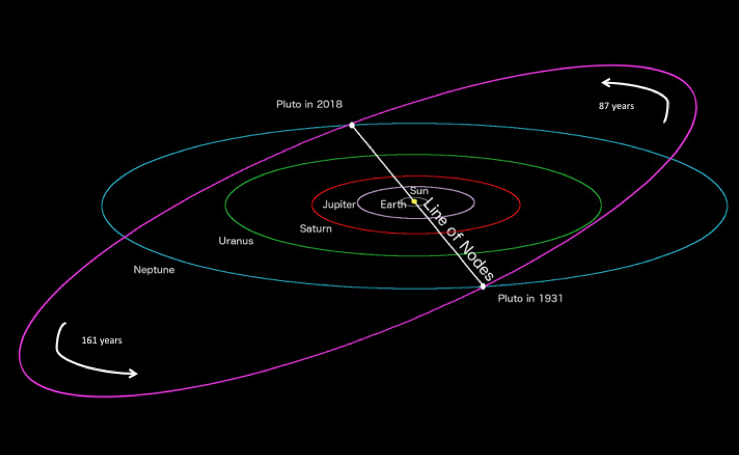 Since there no planned mission after New Horizons to explore worlds in the Kuiper Belt, it’s anyone’s bet how long it will be before our record is eclipsed. So, as 2016 ends and 2017 prepares to dawn, I want to wish you all the very best for the holidays and the coming year. I’m going to spend the holidays with family, thankful that our team has now successfully collected all of the data from the first exploration of Pluto and its moons, and is hard at work analyzing that gold mine! 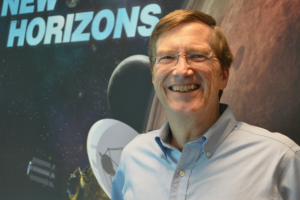 This blog is from Hal Weaver, who joined the New Horizons team in May 2002, his first assignment after taking a job at the Johns Hopkins University Applied Physics Laboratory. He started out as the principal investigator for the LOng Range Reconnaissance Imager (LORRI) and in 2003 became the New Horizons project scientist. Now that most of the New Horizons science data have been downlinked to Earth, it seems only fitting to reflect on the long journey that took us to the frontier of our solar system. Below are some personal memories I’d like to share about this incredible voyage of discovery. The pre-launch years were a time of intense activity for the New Horizons project. As soon as New Horizons received its funding in 2002, the team worked feverishly to deliver the spacecraft to Kennedy Space Center in time for the earliest possible launch window and the shortest flight time to Pluto. As we struggled to deliver the systems and instruments to the spacecraft during the spring of 2005, the payload team started having Sunday morning telecons to stay on track. This was typical behavior across the New Horizons project—people doing whatever it took to meet the looming deadlines. A camaraderie developed that would sustain us throughout the entire mission, and I feel privileged to have worked with such an outstanding group of engineers, managers and scientists. 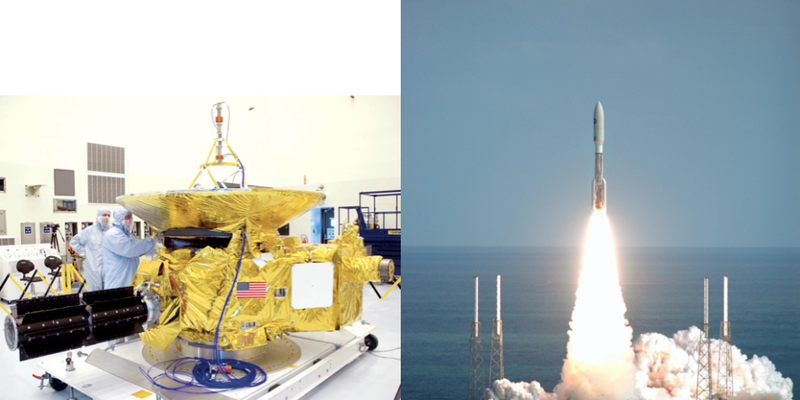 The New Horizons spacecraft was shipped to Kennedy Space Center/Cape Canaveral Air Force Station in September 2005, where various tests were run to demonstrate readiness for launch. We passed the Mission Readiness Review with flying colors on Dec. 13, 2005. But there was still some high drama during NASA’s Flight Readiness Review at the Cape in January 2006, when a launch vehicle technical issue threatened an indefinite delay. Fortunately, the NASA administrator ultimately decided it was safe to launch, and away we went on Jan. 19, the fastest spacecraft ever to leave the Earth! Watching the picture-perfect launch of New Horizons with the rest of the science team, and then hugging each other as we savored the moment, was one of my favorite experiences during the mission. The aperture door of the LOng Range Reconnaissance Imager (LORRI) was finally opened Aug. 29, 2006, and its first images of a star cluster looked great. But in early September, the New Horizons Guidance and Control system’s lead engineer appeared ashen-faced at my office door announcing that LORRI had accidentally been pointed at the sun. Anyone who has worked with telescopes knows that focusing sunlight on a sensitive detector can overheat and destroy the detector. Fortunately, the sun was only briefly slewed across the LORRI detector, and LORRI survived without any degradation in performance. This experience was a poignant reminder that constant vigilance would be needed to ensure a successful Pluto flyby. 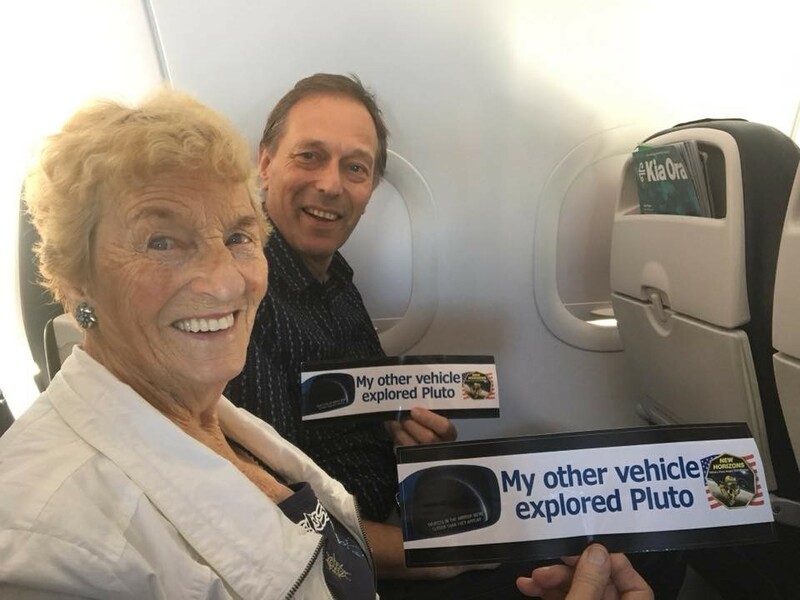 The Pluto encounter in July 2015 was the highlight of the New Horizons mission, with enough memories to fill an entire book. But I truly will never forget the scene in my office just after midnight on July 13, when I displayed on my computer screen the last full-frame image of Pluto taken by LORRI, which had just been downlinked from the spacecraft. There were five other colleagues in my office – the team that produced the beautiful color images displayed for the world the next morning – and we all gasped at the iconic “heart” of Pluto and marveled at the diversity of the terrain surrounding it. During media interviews leading up to the encounter, I frequently stated that an important objective of the New Horizons mission was to transform Pluto from the pixelated view seen from Earth into a real world, with complexity and diversity. As the figure below demonstrates, mission accomplished! I can’t believe a year has passed since NASA’s New Horizons spacecraft successfully executed its historic encounter with the Pluto system. 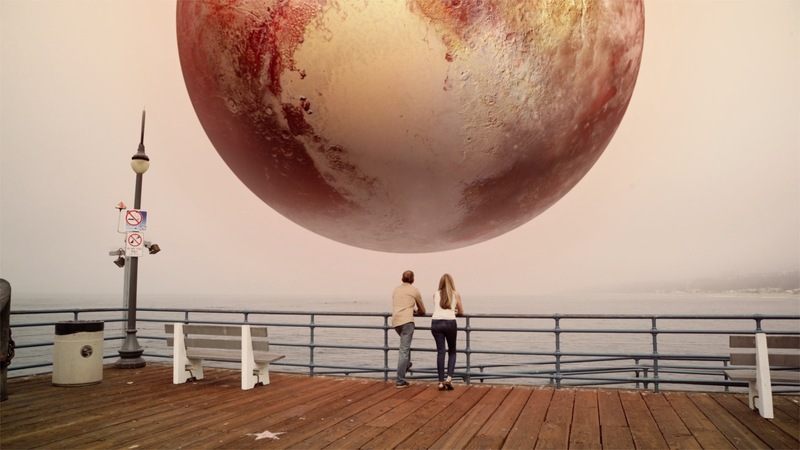 People around the world have been captivated by the incredible new views of Pluto and its moons provided by New Horizons. As much as I love planetary astronomy and spacecraft missions, I love my family even more and want to thank them for their support while I indulged my scientific passions. 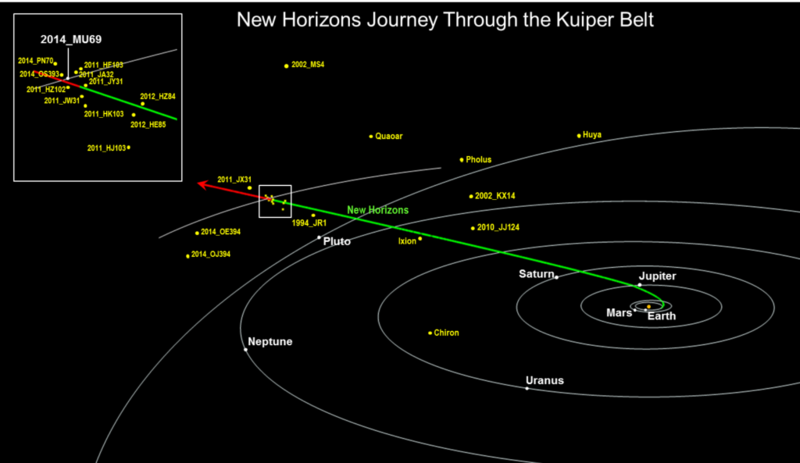 I’m deeply appreciative of the opportunity to participate in this grand adventure, and I’m looking forward to the January 2019 New Horizons encounter with the Kuiper Belt object 2014 MU69, which might be the most primitive body ever visited by a spacecraft. 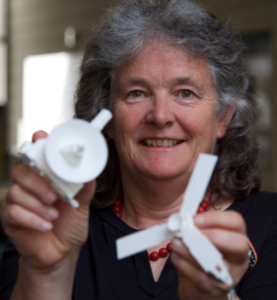 This New Horizons blog is a team effort between Cathy Olkin, the co-principal investigator of the New Horizons Ralph instrument, and Ralph instrument engineer Eddie Weigle. Just as it takes teamwork to fly a spacecraft to Pluto – even tasks like checking the commands that are sent to the spacecraft are done by a team – we decided to team up on this blog to take you behind-the-scenes of interplanetary spaceflight. Specifically, we’ll tell you how we check the commands for New Horizons’ Ralph instrument to make sure they will accomplish the desired science objectives. Cathy: A command load is a set of commands that are transmitted to the spacecraft’s computers from Earth – in our case, sent through NASA’s largest Deep Space Network antennas – which control the spacecraft’s activities. 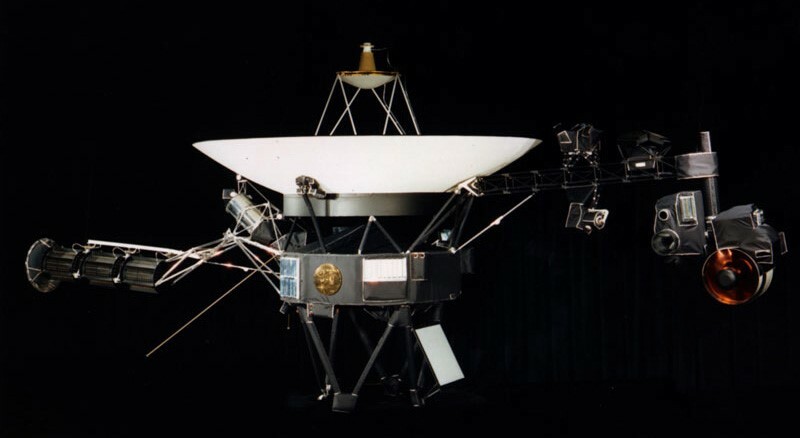 Sometimes the command load covers a short period of time – maybe four days, or a week – but in other instances a single command load can span months, such as when New Horizons was in hibernation mode for much of the journey to Pluto. For the time around closest approach to Pluto, we had one command load that executed commands over a nine-day time span ranging from one week before closest approach to two days after. These command loads are built by the science and mission operations teams and are then checked by the spacecraft engineers and instrument teams. That’s where we come in. 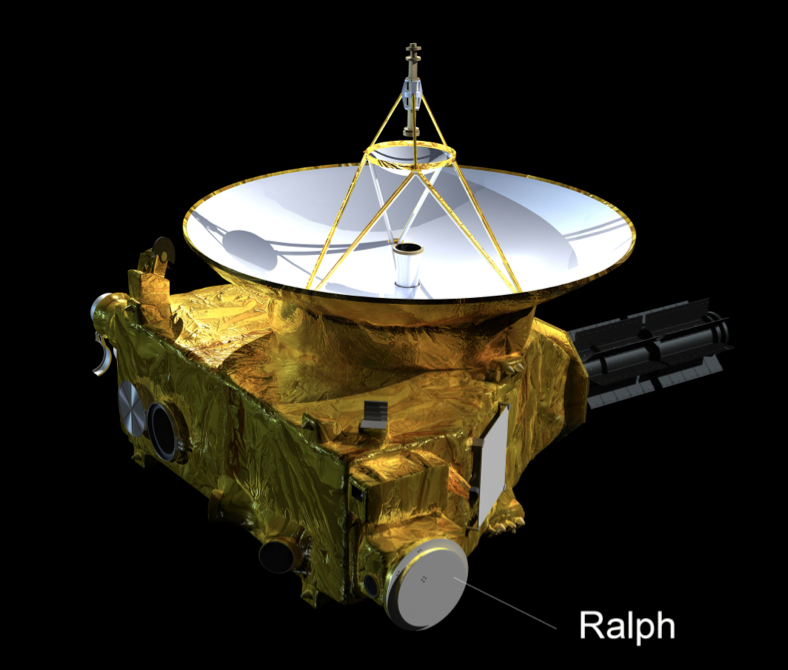 We check the command loads for the Ralph instrument, a color camera and near-infrared imaging spectrometer. We had more than 20 versions of this nine-day command load. The command load had 30,124 lines that needed to be checked! We checked that the instruments would carry out the desired science observations and that nothing would harm the spacecraft or instruments. The first step in checking a command load is to compare where the instrument is pointing with the desired location. The Ralph instrument builds up images by scanning the field of view of the instrument across the target and I check that the pointing of the instrument is right by looking at a visualization of the commands using a tool call the Satellite Tool Kit. Now, I will turn it over to Eddie to tell you more about how we check the command loads. Eddie: Now we get to the fun stuff: making sure the Ralph instrument is doing what the scientists want. Prior to creating the command load, the Ralph science team confers and debates over the best possible ways to use the instrument. There are several facets to consider when deciding on the science. These discussions for creating Science Activity Plans (SAPs) must take into account the Ralph operating mode, where and when to point the instrument, the observation target, memory requirements, the type of data compression, and downlink time. Each SAP the science team approves is broken down into one or more “observations.” Each observation has a single purpose, and consists of a particular target, operating mode, and time. With all this information, the command load is built. The load contains commands not just for Ralph, but for all the other instruments and subsystems as well, including the spacecraft itself. These command loads may contain thousands of commands, so to check each version of each load manually would be extremely time-consuming. So to aid our team in verifying the loads, we developed a Python script to analyze the full file. The script verifies that all the necessary commands are there to properly execute each observation. After all the subsystem leads check and approve the command script, we still need to make sure the commands work as they should. So we run each command load on the New Horizons Operations Simulator – or “NHOPS”—a fancy name for a set of electronics that functions just like the spacecraft itself. Understanding the full complexity of the entire spacecraft typically goes beyond any individual instrument team, so we conduct a dry run to ensure all resources are properly used. To analyze the results of each NHOPS run, the Ralph team developed a web-based tool called Ralph Activity Manager (RAM). RAM provides the team with end-to-end coverage for the commanding of the instrument. It not only includes the command checker I described earlier, but also correlates the spacecraft telemetry, the telemetry from the simulator tests, the command loads, and the science objectives. This allows us to easily track and manage all of the science goals, from the time we decide what to observe, until the data from those observations are on the ground. And that, in a nutshell, is how we confirm the commanding on New Horizons is accurate – and how the mission team was not only able to deliver the goods on one of the great planetary encounters of our time, but also how we’ll continue to explore the farthest reaches of the solar system! 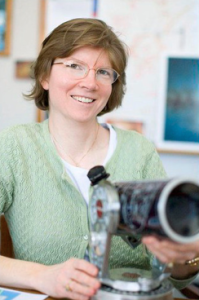 Fran Bagenal is a research scientist at the Laboratory for Atmospheric and Space Physics at the University of Colorado, Boulder, who is working on the New Horizons mission to Pluto and the Juno mission to Jupiter. Her main area of expertise is the study of charged particles trapped in planetary magnetic fields. She remembers a young Alan Stern walking into her office in 1989 and suggesting a mission to Pluto. “Whatever units you use – Kelvin, Fahrenheit or Celsius – it’s bloody cold on Pluto!” I incant in my strongest English accent. I love giving public talks about Pluto. The audience is dying to see the latest pictures. And the New Horizons mission is a great success story. 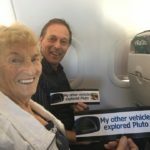 I recently returned from Toronto, where Pluto was the centerpiece of an annual astronomy evening – as it has been in many towns this past year. The Canadians peppered me with questions well into the night. Planetary exploration is a story of people. I start my talks showing how clever people in the mid-20th century used telescopes to pin down basic facts about Pluto (size, mass, temperature, composition, atmosphere, etc). 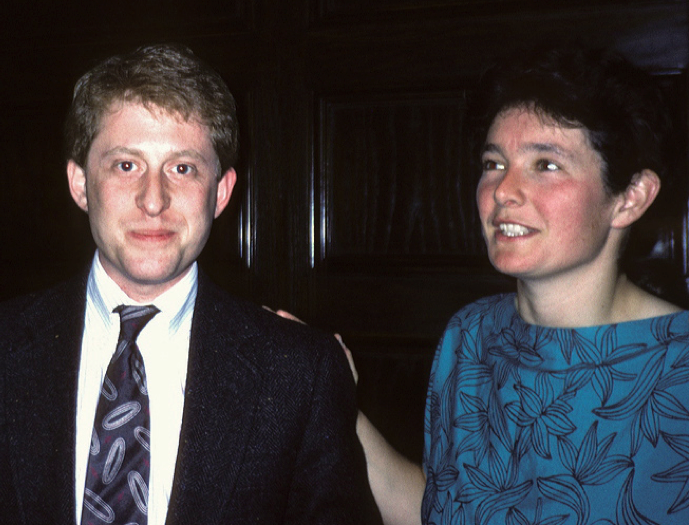 With Voyager 2 completing its exploration of the outer planets in the fall of 1989, Alan Stern — then chairman of the Outer Planets Science Working Group — rallied support to go to Pluto. But in those days, when Pluto was a small, lonely misfit on the edge of the solar system, it was hard to convince people to send a mission just to Pluto. This all changed with the advent of digital photography that allowed the discovery of objects – now thousands of them – in the Kuiper Belt. Pluto became one of a class of objects that hinted at a much more complicated solar system history. After a year of amazing pictures of Pluto’s complex surface from New Horizons, it feels bizarre to see the fuzzy pictures from Hubble and remember just how little we could see before. 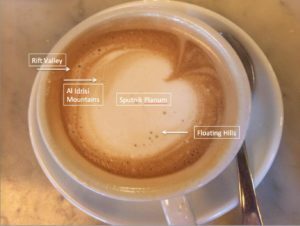 I scroll through the New Horizons’ images of convecting nitrogen ice, water ice mountains, puzzling pits, and the photochemistry of haze and tholins on the surface – repeating jokes about confused geologists that always seem to get a laugh. 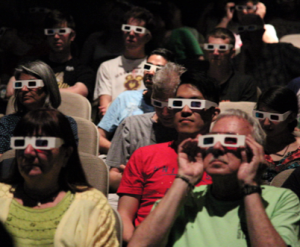 Sometimes the 3-D pictures are a great success, sometimes not so much. I guess there’s a huge range in human visual perception. But by now the questions are flowing. Some are basic: Why not land on Pluto? Because we preferred to take science instruments than the necessary fuel. Where next? NASA has just approved an extended mission to New Horizons’ next target: an object in the Kuiper Belt known as 2014 MU69. The science team has a running joke that the KBO’s name is “Jim Green”—a reference to NASA’s director of planetary science. This usually elicits chuckles from the group. Some questions are about the human side: What did you do for the 9.5 years to get to Pluto? Plan and work on other missions. How come there are so many women on the team? Good leadership (New Horizons Principal Investigator Alan Stern and Jim Elliott, MIT professor and planetary occultation expert) that fosters female participation. And Pluto’s fun! The past 26 years have been a fantastic ride to Pluto. So much planetary science has emerged, with tons of new physics to study and a topic that engages the public. Yes, there have been ups and downs. But overall, what a great crew the New Horizons team is to work with. What’s next? Europa, Venus, Uranus, Quaoar…anyone?